Lejoy Cossey, 89, of Winnie, died Wednesday, January 16, 2019, at Summer Place Nursing and Rehabilitation, Beaumont. She was born to Maggie Elizabeth Boyce and Daniel Lee Fronabarger, in Augusta, Arkansas, on January 30, 1929. Lejoy was a resident of Winnie since 1965. She was an LVN at Christus Hospital-St. Elizabeth, Beaumont, for seventeen years before retireing. She had a love of flowers and gardening but most of all, her grandchildren. She loved the holidays and was well known for her huge Christmas trees and all the family gathering around on Christmas Day. Survivors include her sons, Daniel Cossey and his wife, Donna; Hoggie Cossey and his wife, Lea Ann; and Jimmy Lee Cossey and his wife, Rose; daughter, Wendy Jaap and her husband Frank; sister, Betty Willmann and her husband, Gene; son-in-law, Wilmoth Abbott “Pat” Ingalls; seventeen grandchildren; nineteen great-grandchildren; one great-great-grandchild. She is preceded in death by her husband, Ralph William “Jim” Cossey; parents; children, Linda Ingalls and Barbara Krumrey; sister, Bertha Willis; brothers, Troy, Buddy, and Orville Fronabarger. A gathering of Mrs. Cossey’s family and friends will be from 5:00 p.m. until 8:00 p.m., Friday, January 18, 2019, at Broussard’s, 134 West Buccaneer Drive, Winnie. 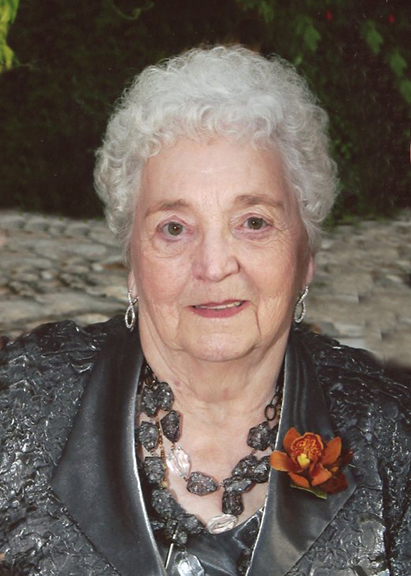 Her graveside service will be 10:00 a.m., Saturday, January 19, 2019, at Fairview Cemetery, 223 Cemetery Road, Winnie. I'm so sorry to hear about Mrs. Cossey. I do remember that Christmas tree, was always beautiful. Sincere Condolences to the Cossey Family! Prayers for you all!